Tusshar Sasi	 August 6, 2016	 Leave a Comment on Budhia Singh Born to Run – Finally, a well-made sports biopic from India! Odisha. One of India’s largest states – by population and area. Culturally rich with a vibrant heritage to boast of, Odisha also happens to be amongst the nation’s most overlooked states. 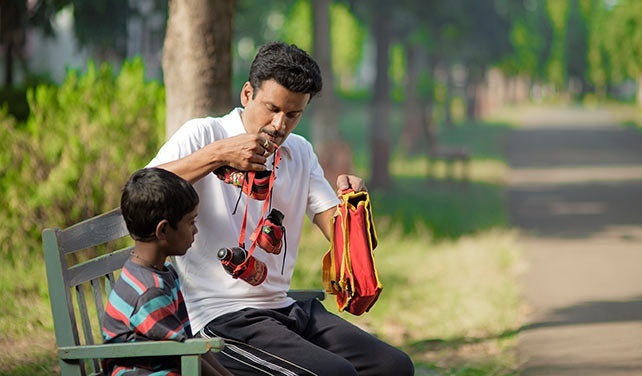 Filmmaker Soumendra Padhi’s Budhia Singh Born To Run is one story set in the state and tells the real tale of an unsung hero and his determined coach. Budhia Singh – a child prodigy whose stamina could give P. T. Usha a ‘run’ for her money. Though we cannot really deem the film a sports biopic per se, it stands out from similar biopics and sports dramas, thanks to a swift narrative and diligent execution. Biranchi’s philosophy to all conflicts faced by Budhia is that he will run and answer them all. Budhia does that every single time. Initially he does it for a fancy red bicycle or a pair of shoes, later he does it for his ‘Sir…” and also because he loves being challenged. As is the case with India media, Budhia and Biranchi become unfortunate ploys of political propaganda. What works for Budhia Singh – Born to Run, is its inherent honesty. The director and actors convey a lot without saying much. Yes, this isn’t the simplest of screenplays you would encounter as there are subtexts galore – if only you pick them up. The naïve, opportunist slum dwellers to swindling politicians – the faces are familiar. Amidst all the chaos is Biranchi – whom the film announces to be a man of virtue. However, his love for Budhia is so well established that we never desire exploring the other side of the story – if at all one existed. Any hiccups? 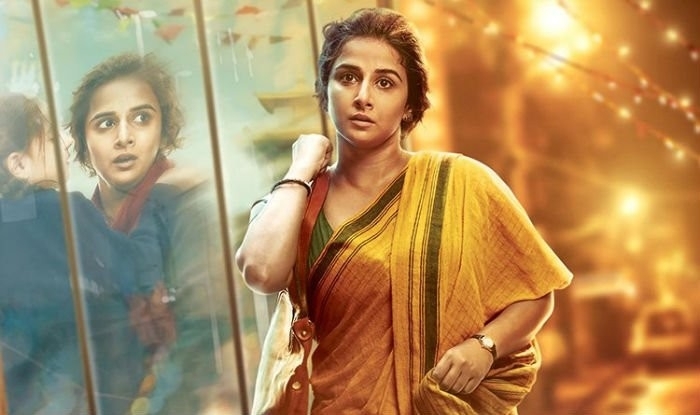 Despite the film steering clear of excessive melodrama, one feels they should have avoided clichés like the one in the maternity ward – quite similar to the recent blockbuster Sultan. Even those tiny moments where Gita (Shruti Marathe) expresses her displeasure in Biranchi neglecting his own child. Luckily for us, Gita is not shown to be an evil step-mother who refuses malai-wala doodh to Budhia (reference 1966’s Nutan starre Chhota Bhai). She, in fact, is a worried, concerned mother to him. Though it would have been inappropriate to have the 5-year old mouth volcanic lines, how more warm the story could have been if there existed a tiny perspective of his – towards Biranchi, Gita and running long distance races! However, all of these are mere observations that wouldn’t take away the fact that Budhia Singh – Born to Run is a truly well-intentioned and, more importantly, a well-made film. On the technical front, the film is rather is rather proficient. Soundtrack by Sidhant Mathur and Hitesh Sonik is functional and the track ‘Sonapua’ by Rituraj Mohanty stands out for its smooth melody. Manoj Kumar Khatoi‘s cinematography fits the pace of the film and the colour tone he maintains is real and dramatic thus beautifully capturing Odisha’s landscape. Editing by Shivkumar V. Panicker is super-slick and production design is noteworthy. There’s another domain where the film is a major win – performances! Fit as a fiddle, Manoj Bajpayee is unbelievable as Biranchi. The actor proves why he is hailed as one of the finest performers India has ever seen. Those moments with the crowd and the incessant media – one stare at him agape! Such is the precision. Mayur Patole is a perfectly cast as Budhia Singh. There’s no aura of a child actor in him and that works to the T. His chemistry with Bajpai is warm and easy on eyes. Shruti Marathe as Gita has a beautiful presence. An able performer, she supports Bajpai with lots of grace. It was a pleasure spotting the super-talented Tillotama Shome as Sukanti. She pitches in a nuanced performance in a character with hues of grey. She’s mind-blowing in that scene where she tries selling her not-so-long tresses. 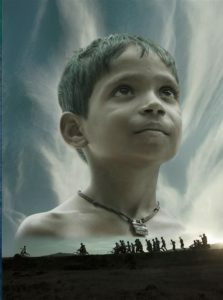 Earlier titled as Duronto, the film has earned a National Award for Best Children’s Film at 63rd National Film Awards. Walking out of the screen, one exclaims how this is a golden period for good cinema as a biggie production house (Viacom18 Motion Pictures) willingly backs this small tale of passion plus going for great promotions and decent theatrical release. Also, happens to be the second children’s film in Hindi to have blown my mind this year (first one being this! ), Budhia Singh – Born to Run is all hearts and it ought to be watched on the big screen. Plus, this is one film that possesses immense repeat value and can easily be the next sleeper hit. Well, three cheers to writer-director Soumendra Padhi. Previous PostWhite – A jaded, pointless London escapade! Next PostKabhi Alvida Naa Kehna – 10 years and we aren’t ready for it yet!